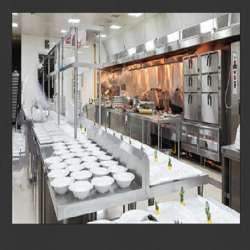 Leading Manufacturer of commercial kitchen equipment repairing service from New Delhi. Our quality centric approach aids us to provide a wide gamut of Commercial Kitchen Equipment Repairing Service in standard and customized specifications. This equipment finds important utility in various commercial kitchens like hotels, restaurants, bakeries, food stalls etc. This equipment is precisely manufactured in tune with international quality standards using optimum quality components. Moreover, the offered equipment can be availed at reasonable prices from us.